It doesn’t take long for the hunt for a sturdy used truck to grow frustrating. The search can cost you time and energy, only to find that your options are slim and the prices don’t fit your budget. At McSweeney Chrysler Dodge Jeep RAM, we believe that buying a used truck doesn’t have to be so complicated. Our lot presents a selection of durable pre-owned pickups from manufacturers you can trust. When you come to our dealership, our trained team can help you track down a truck that delivers all the power and performance that you’re looking for. We have a well-rounded collection of heavy-duty workhorses here in Sycamore. As you look around our inventory, you might see capable machines like the RAM 1500, Dodge Dakota, Chevy Silverado, or Nissan Titan. With our robust and regularly changing lineup, we’re confident that you will be satisfied with what you find. Our entire stock of pre-owned trucks is listed online for you to browse at any time. You can use the handy filter tools to help narrow down the options to see only trucks that meet your requirements. The tools allow you to search for specific qualities like manufacturer, model, trim level, miles per gallon on city or highway, and more. The trucks we have in stock are always changing, so if you don’t see a truck you’re interested in right now, make sure to check back later to see if something new has arrived. You can always call us to see if our staff might know of anything else coming up. You can also ask about our pre-owned specials. Whether you’re coming from Sycamore, Maple Park, Clare, Cortland, Dekalb, or Malta, we want to be the one-stop answer to all your used truck needs. 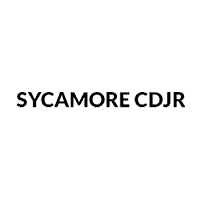 At Sycamore CDJR, we offer a clear and straightforward truck buying experience, and our trained staff will be ready to help with committed customer service. Whe you come see us, remember to ask about our financing plans.